Our Goal . . . your complete satisfaction! animated graphics, scanning, e-mail & business forms, etc. 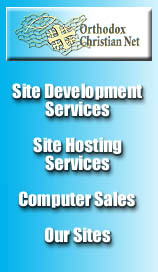 We can custom tailor the design and creation of your Web site(s) to your exact specifications and needs. We never charge you for just asking a question. Last modified Thu, 15 Feb 2001 04:43:07 GMT.